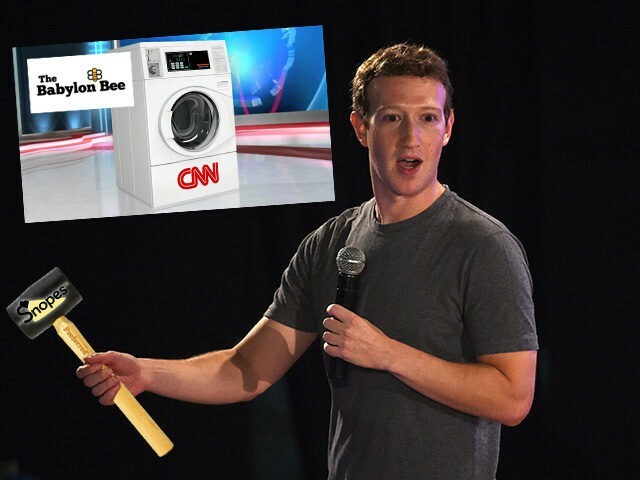 Yet as Breitbart News has previously reported, partisan “fact-checking” service Snopes felt the need to publish a correction of the article that clarified that CNN had not “made a significant investment in heavy machinery.” After Snopes published the article Adam Ford, who runs the Babylon Bee, received a notification from Facebook which warned him that if he continued to publish “fake news” corrected by Snopes on Facebook, he could have his page demonetized and his page reach severely reduced. Babylon Bee readers also noted that they were receiving warnings about “fake news” when attempting to share articles by the publication on Facebook’s platform. “Before you share this content, you might want to know that there is additional reporting on this from Snopes.com,” said Facebook in a pop-up when one reader attempted to share the article on their own page.